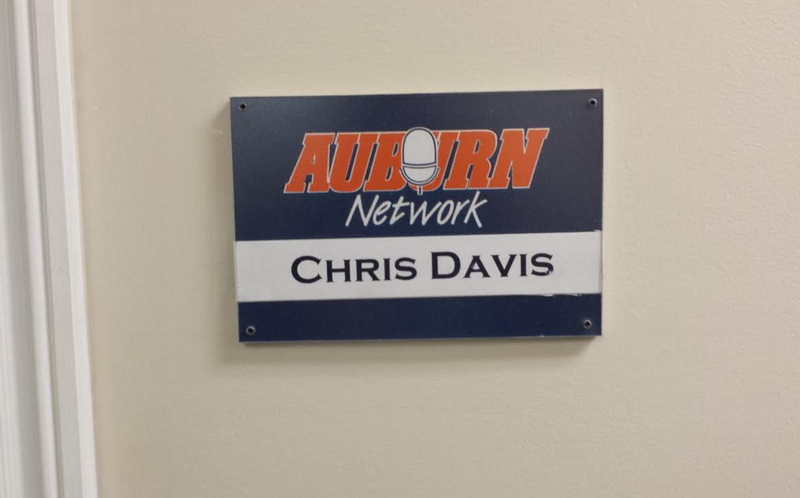 Part of Chris Davis’ home game duties as Associate General Manager for Auburn IMG Sports Network is to take Auburn’s playmakers to the Heisman Room, right next to the Auburn locker room, for post-game interviews. 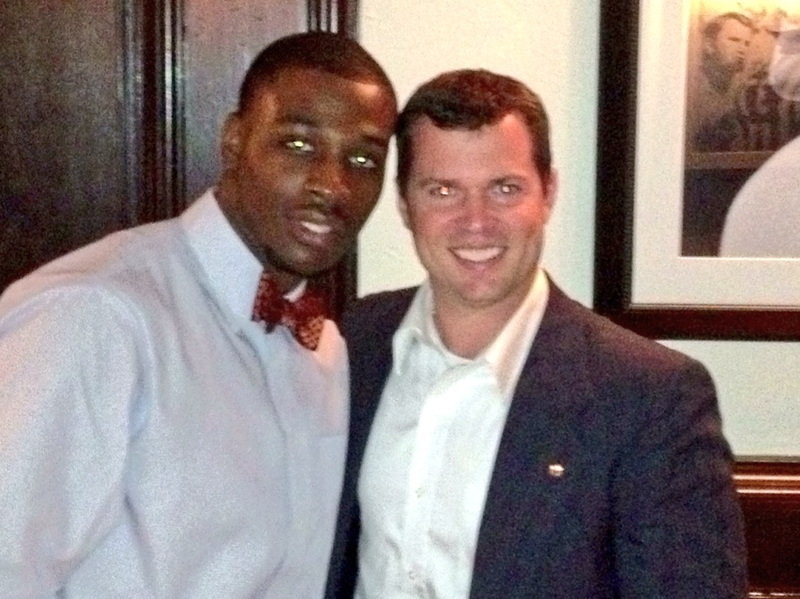 But the night of Nov. 30, 2013, it wasn’t just a player—Chris Davis was escorting an Auburn legend: Chris Davis. That 109-yard field goal return to topple the Tide hadn’t just changed the game, it had changed No. 11’s life—and several other lives, at least for a while. Davis, 33, is one of several, maybe dozens of Auburn fans living in the state of Alabama who share the name of the most famous person in Iron Bowl history, the man who made the past year the most relaxing ever for Auburn fans not named Chris Davis, and one of the most surreal ever —or at least interesting, or annoying (there were a few who didn’t want to talk about it)— for those who are. What with residing in Auburn and working so closely with Auburn’s Athletic Department, those pauses are a little longer than those your regular old Auburn fan Chris Davis might have to deal with. Davis says he also uses his name to have a little fun with business associates, especially the Alabama fans he’s already on a first-name basis with. And especially from his Bama fan neighbors—at least the night it happened. 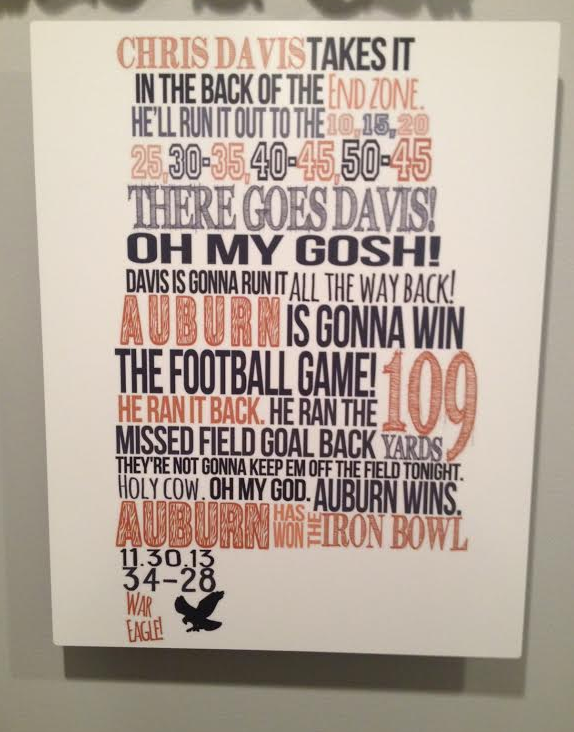 2007 Auburn grad Chris Davis hung this print of Rod Bramblett’s call of Chris Davis’ Iron Bowl-winning field goal return on his den wall as a reminder of how awesome he is. Thankfully, Davis’ family pulls for Auburn. Do they brag about being related to Chris Davis? Chris Davis, a 1995 Auburn graduate who owns a landscape company in Detla, Ala. near Anniston, says he’s been “definitely kidded” about his name over the past year. But he actually tries to use it to his advantage out on the job. Davis says he respected No. 11’s abilities as a player, and appreciated having the same name as an Auburn football star, even before he became an Auburn rock star. When the Anniston Star arrived the morning after Auburn’s near upset vs. LSU in 2012, in which Chris Davis was one of the few bright spots, the Davis’ got out the scissors. The paper routinely prints full-page photos of standouts from the previous week’s games. They knew they’d be getting them out again after last year’s Iron Bowl. Davis actually says he’s dealt with cases of mistaken identity with others who share his not exactly uncommon name all his life. He says just in his tiny corner of the state alone there are at least two other Chris Davises. There’s the Chris Davis who works at the bank in Heflin, and there’s the Chris Davis who has a mustache and walks his Chihuahua and eats at Jack’s. But since both were hippies, both worked with dirt—curly Chris Davis was in landscape, blonde Chris Davis was an Ag major—and both liked to have a good time, wires often got crossed. Chris Davis, a retired educator from Clanton who graduated from Auburn in 1969, has been dealing with it his whole life. It’s no big deal. “Yeah, I graduated from Auburn and my name is Chris Davis,” Davis sighs and replies as if for the thousandth time, “but there’s a bunch of them. There’s two or three here in Chilton County, some of them good, some of them bad. There’s the Chris Davis (of the Baltimore Orioles) who led the majors in home runs last year. Even my ENT is named Chris Davis. Chris Davis is a 29-year-old electrical engineer. He lives in Birmingham. He walked across the stage with his second degree from Auburn in the spring of 2013, months before Chris Davis became a household name. Thing is, his contact information stayed in AU’s student directory through the fall. He still had access to student email account. The messages from sports agents telling him he had “the ability to play professional football in the NFL” poured forth, as did request from bloggers requesting he do a Q&A about his Draft prospects. After replying that he was a mathematician in his late 20s, Auburn graduate Chris Davis did not receive any more emails from him. 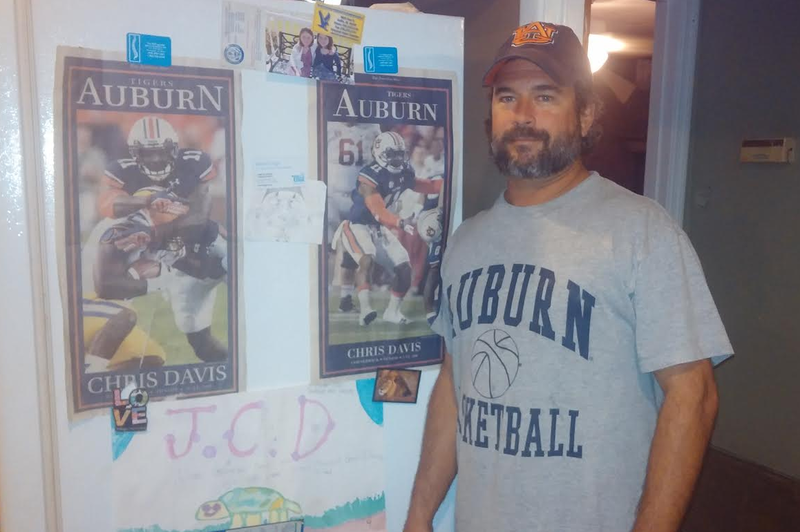 Davis was one of the few Chris Davises to witness his name be etched into Iron Bowl lore in person. Walk into the Auburn Network and take a left. Chris Davis’ office is at the end of the hall. Our first Chris Davis–Associate General Manager for Auburn IMG Network Chris Davis–wasn’t just watching an Auburn football player make a once-in-a-lifetime play Nov. 30, 2013, he was watching a friend. Davis says that because they had the same name, he’d followed Chris Davis’ Auburn career from the start. Related: Recruits can pose as Chris Davis in giant Iron Bowl cut out placed in Auburn’s locker room.